KAMPALA – The Bank of Uganda Deputy Governor Dr. Louis Kasekende has assured Parliament that the Central Bank has embarked on investigations inside the Bank’s security department after reports that the former Executive Director, Justin Bagyenda breached the Bank’s security and sneaked out with bags whose contents remain a mystery to date. 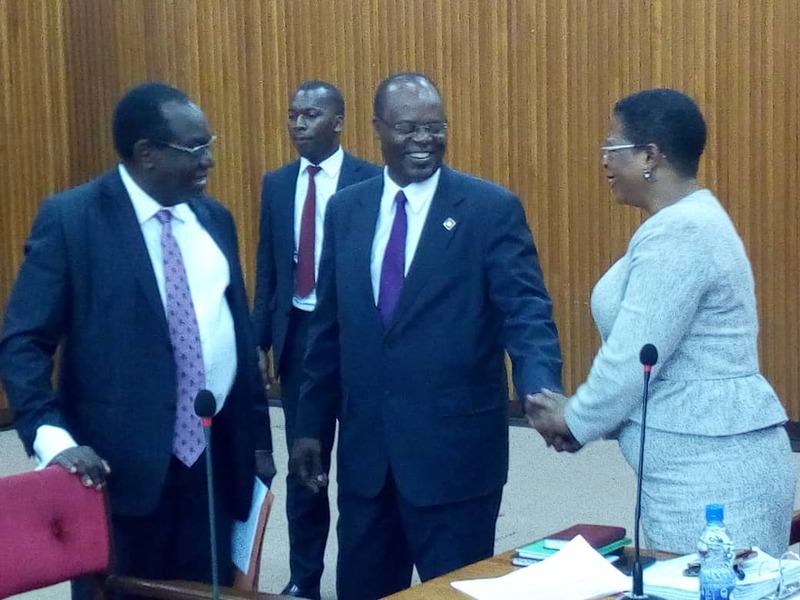 Dr. Kasekende’s pronouncement on Thursday followed concerns raised by MPs on the Committee of Commissions, Statutory Authorities and State Enterprises (COSASE) who wondered why the Bank hasn’t taken any disciplinary measures against the Bank security team who watched on as the bags left the Bank. 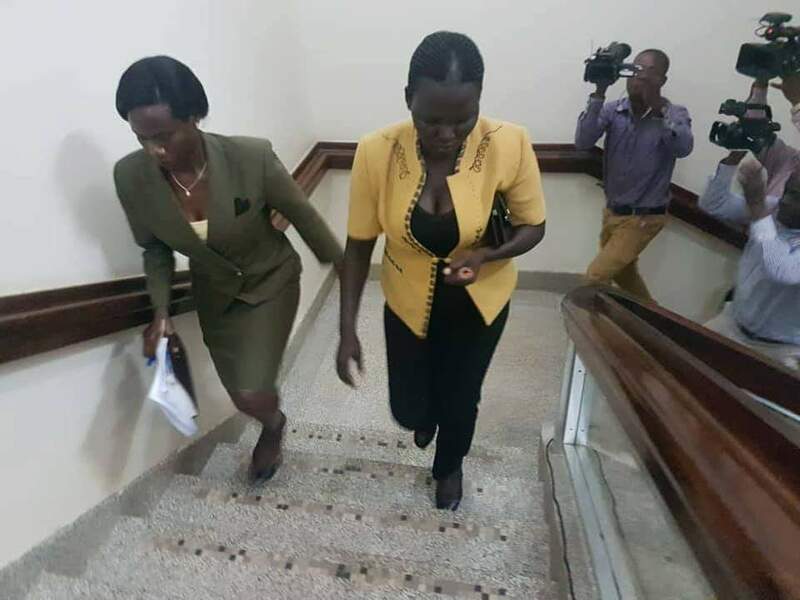 The Deputy Governor’s remarks followed the Committee findings, after review of the CCTV footage of the Bank that Ms Bagyenda’s bodyguard, Juliet Adikolet and driver Job Turyahebwa carried bags out of the Bank while the security officers; Beatrice Kyambadde and Charles Omoro looked on. 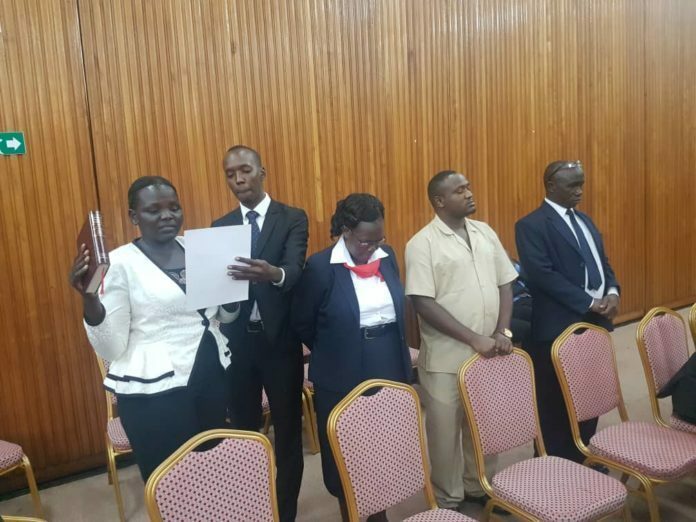 COSASE was forced to institute a select Committee headed by UPDF Representative Francis Takirwa whose report revealed that there was a lot of negligence on part of security officers who knew what to do but didn’t do what they should have done adding that the contents of the bags remain a puzzle as the input from the four suspects, who are now under Police custody didn’t reveal much given they all denied knowing contents of the bags. Among the MPs that raised concerns were Francis Mwijukye who questioned how somebody in charge of security could allow bags to get in without verification, “Why didn’t you think it wasn’t important to verify. Who asked you not to verify. In all this you see security, it isn’t just a person above the bank, but you really see the connection. This isn’t just about Bagyenda but we need to interrogate it further,” said Mwijukye. Nathan Itungo (Kashari County MP) asked Kasekende if he had had the opportunity to watch the footage showing how the bags moved out of the Bank, to which Kasekende admitted not having seen. The Deputy Governor’s revelation attracted concerns with Katuntu chipping in saying the matter has to be investigated to its conclusion because there is property at the Bank at stake, and the country isn’t in the know of what property it was. Elijah Okupa (Kasiro County) wondered why Bank of Uganda kept on Bagyenda’s bodyguard on the payroll yet the matter came to the knowledge of the Bank in March, one month after the bags had been sneaked out of the country. He suggested to have Adikolet sent back to Uganda Police for reassignment as the nation can’t risk the Central Bank’s property with a person of her calibre. As the MPs kept on raising questions, Mwijukye pointed out at Kasekende’s lack of interest at the matter, wondering how he hasn’t found time to look at the footage, “I want to know why the Governor wasn’t interested? He asked.